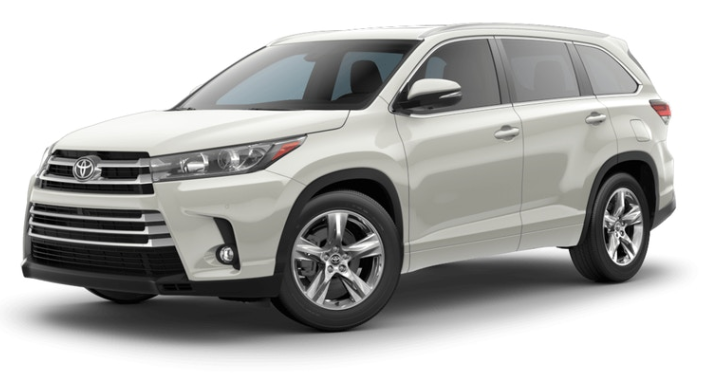 Drivers in search of a versatile family SUV should see the 2019 Toyota Highlander, now available at Lou Fusz Toyota in St. Louis, MO. The new Highlander comes standard with three-row seating for up to eight passengers, along with two rows of folding seats to accomodate a mix of passengers and cargo. With advanced Toyota safety technologies as standard, there are plenty of reasons to choose the 2019 Highlander as your next family-hauler. Get into a smooth-riding 2019 Highlander crossover SUV at Lou Fusz Toyota, where St. Charles, MO area drivers turn to for competitive pricing on the latest Toyota models for sale. Our sales team is eager to demonstrate all of the smart features of the new Highlander, including its available height-adjustable, power liftgate and flip-up rear hatch. Shop our website, visit us in St. Louis or contact our sales staff today! With eight trim levels offered, there is plenty more to explore with the 2019 Toyota Highlander. Before you visit Lou Fusz Toyota from nearby St. Peters, MO or beyond, don't hesitate to shop and compare the various Highlander trim levels and vehicles in-stock and available here on our website. The 2019 Highlander LE base trim provides conveniences like 60/40 split second- and third-row seats plus a high-powered Entune™ Audio system with Bluetooth®, while the XLE trim adds leather-trimmed seating, a power tile and slide moonroof, integrated navigation, a Smart Key System and more. Lou Fusz Toyota is your source for new Toyota vehicles for sale near St. Charles, MO as well as financing assistance and professional routine maintenance services. Contact our finance specialists or our dedicated Toyota service center for all of your automotive needs!